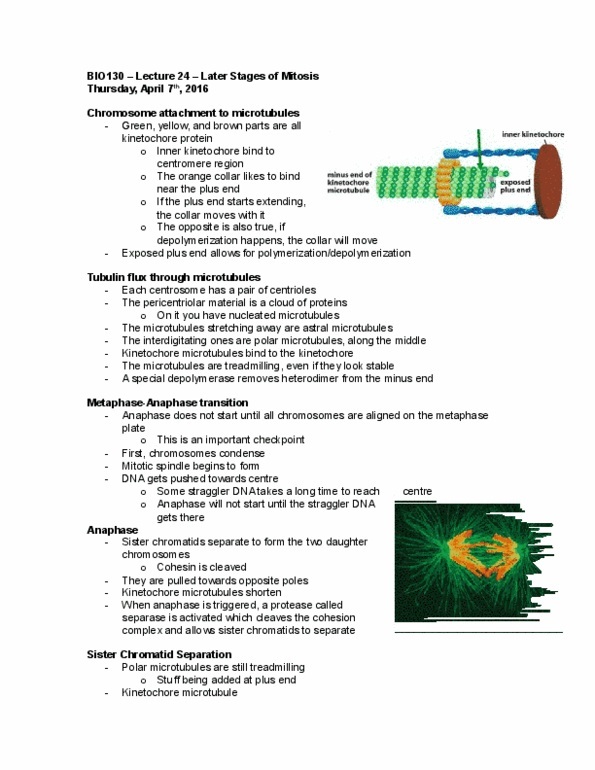 3 types of filaments form the cytoskeleton: microfilaments, made of actin, diameter: 5-9nm, look like two smaller filaments twisted around each other. 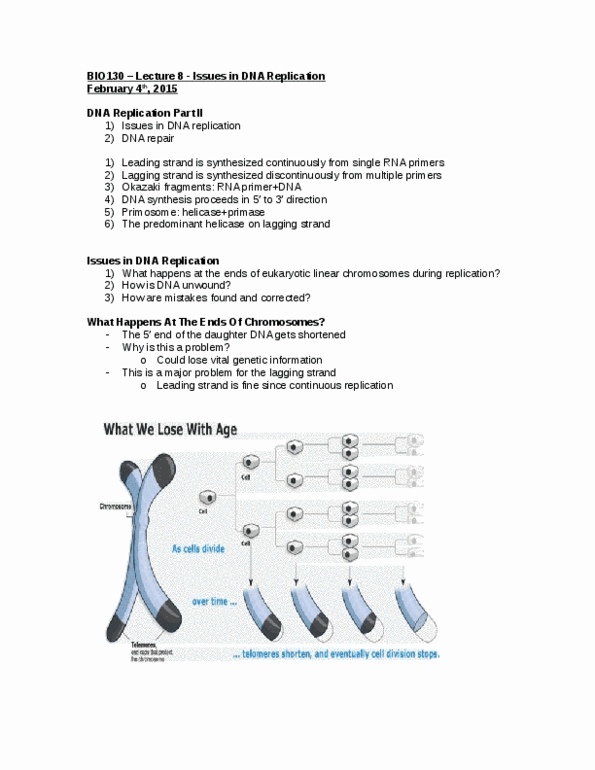 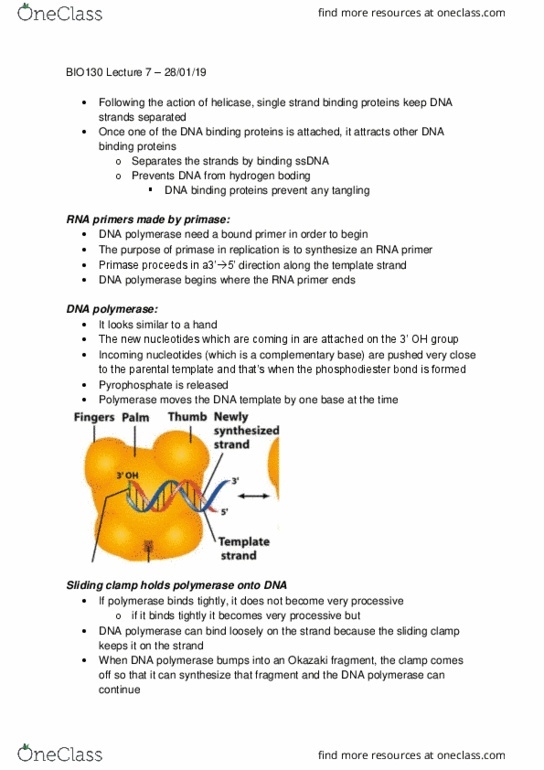 Packaging of nucleosomes: cohesion is involved in forming chromatin loops, loops may be attached to a nuclear scaffold to enable increased compaction. 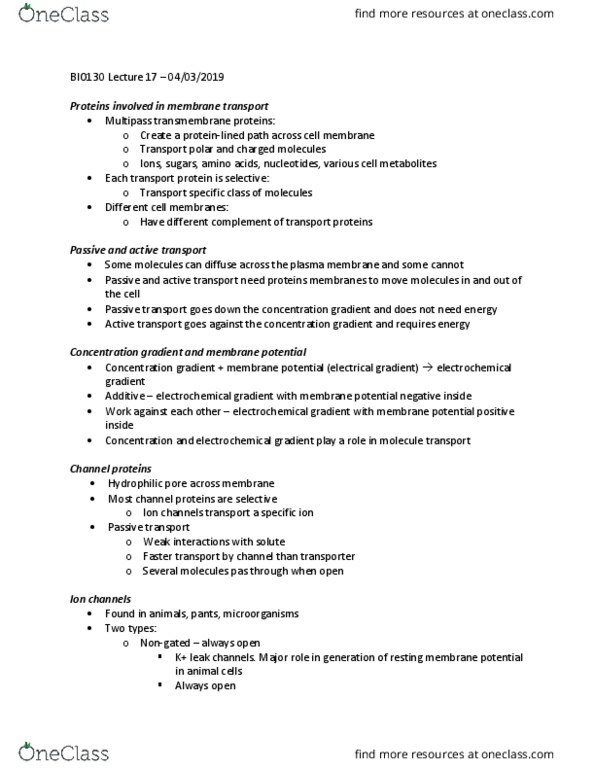 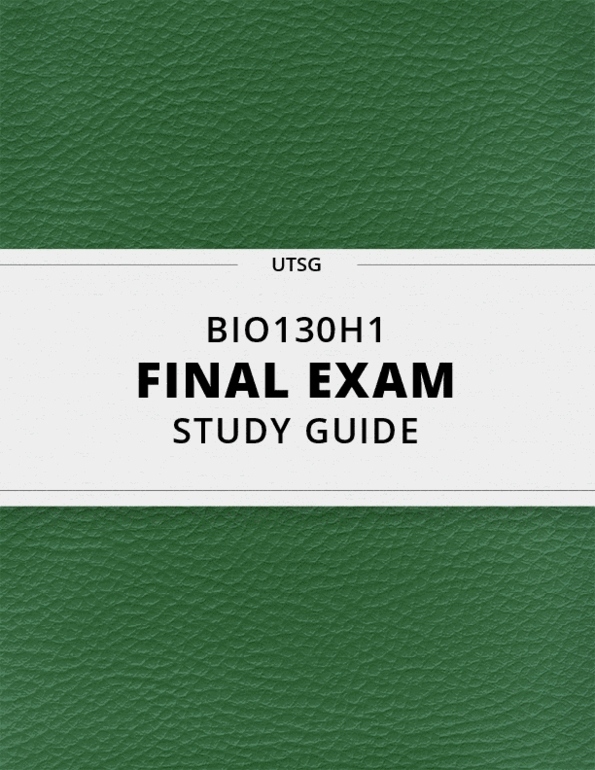 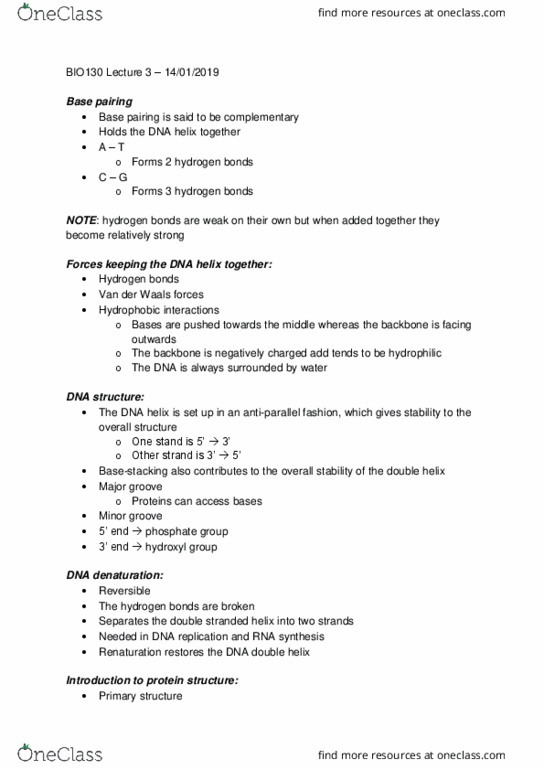 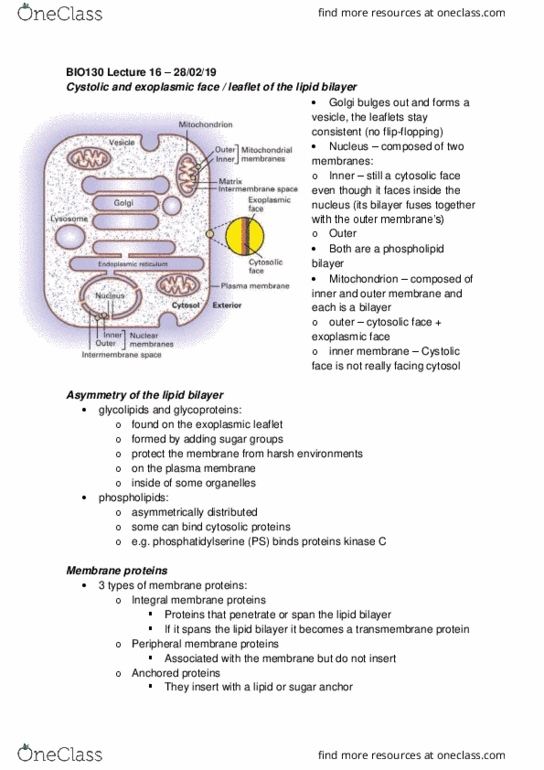 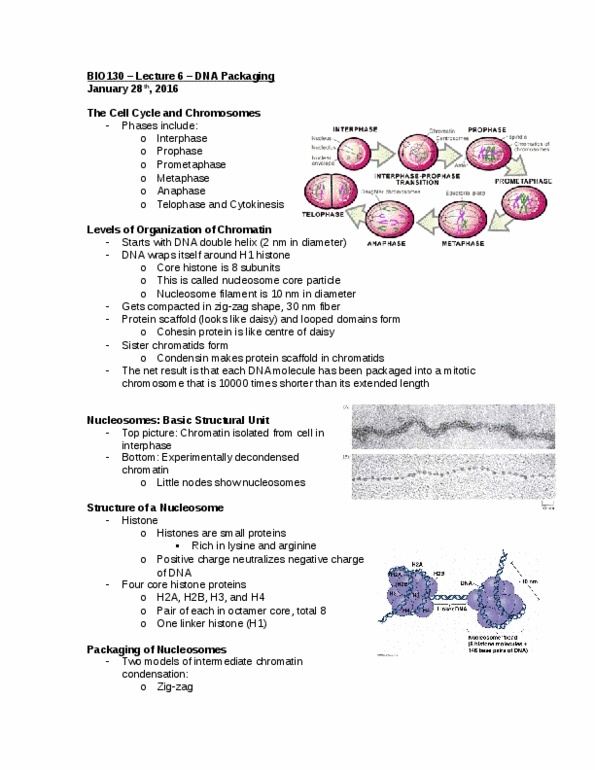 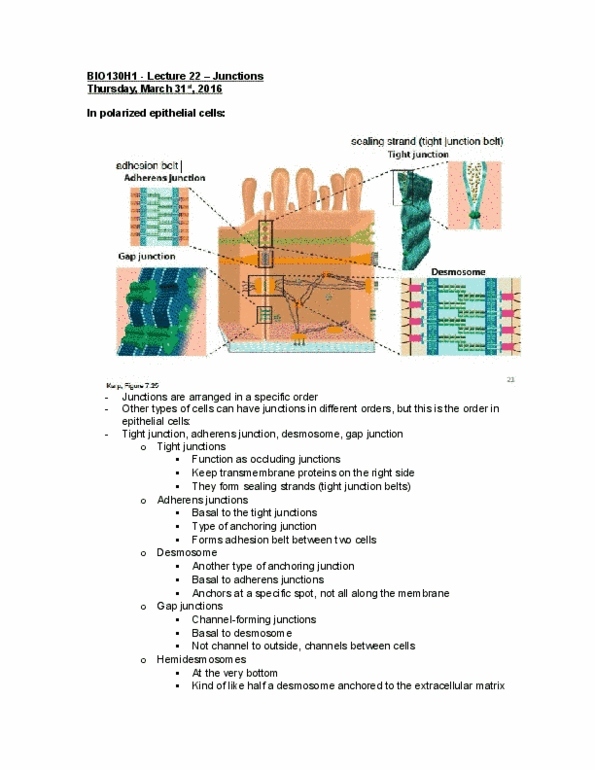 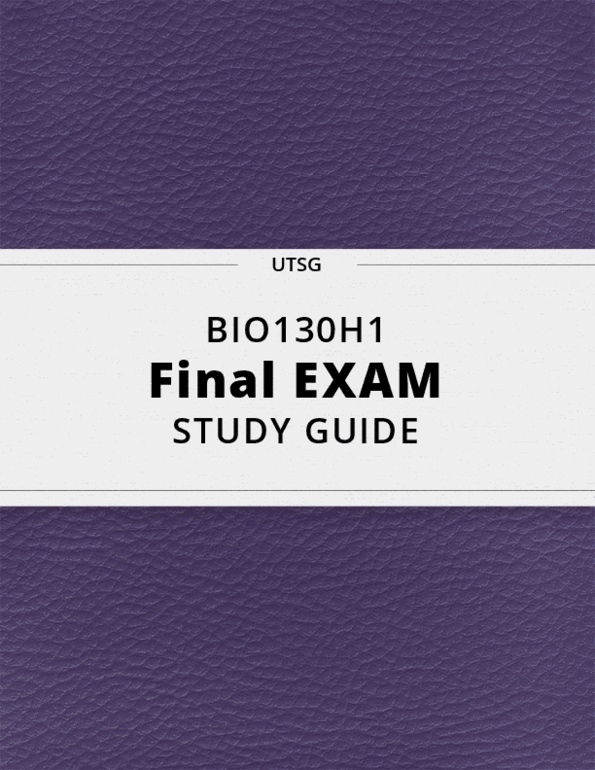 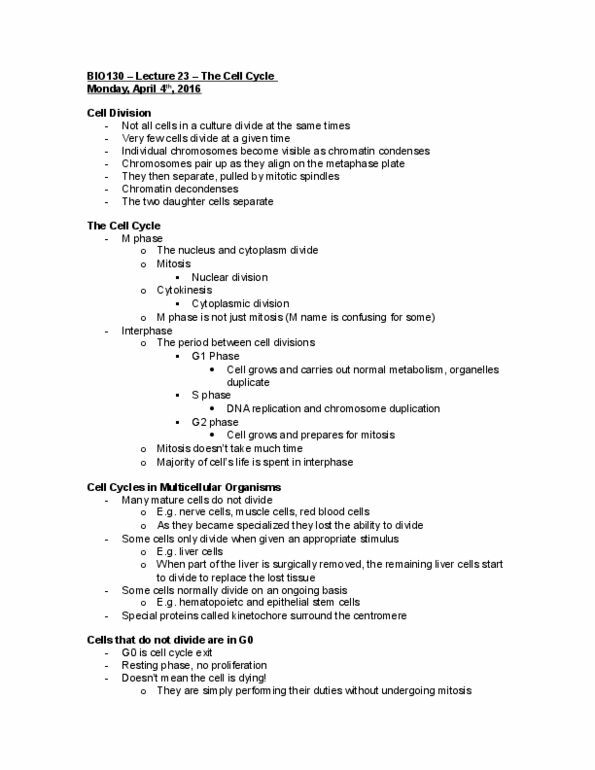 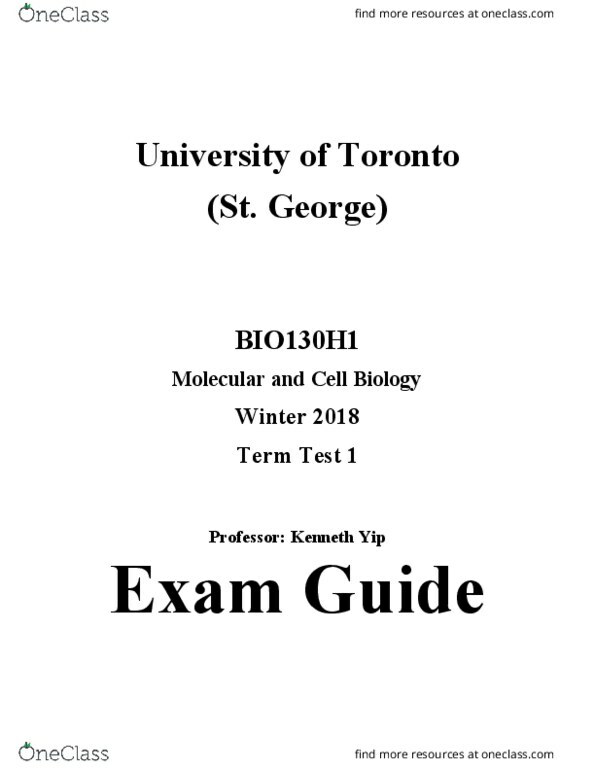 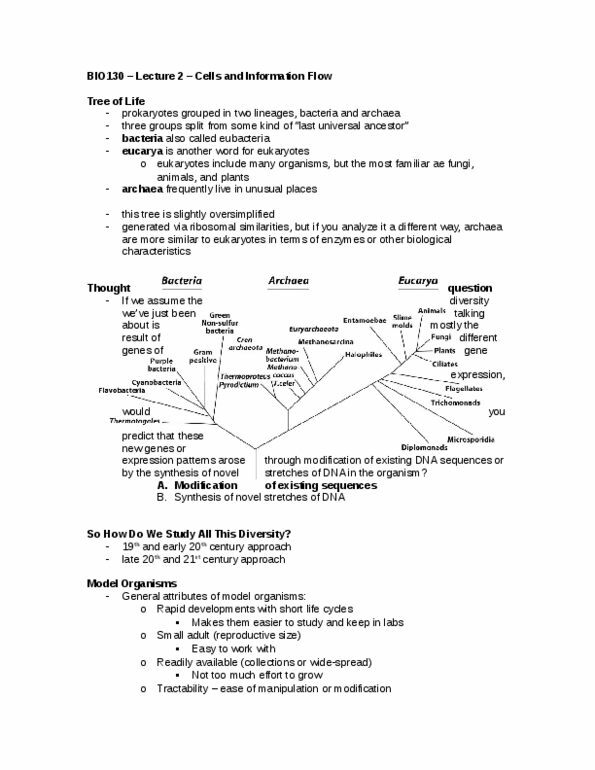 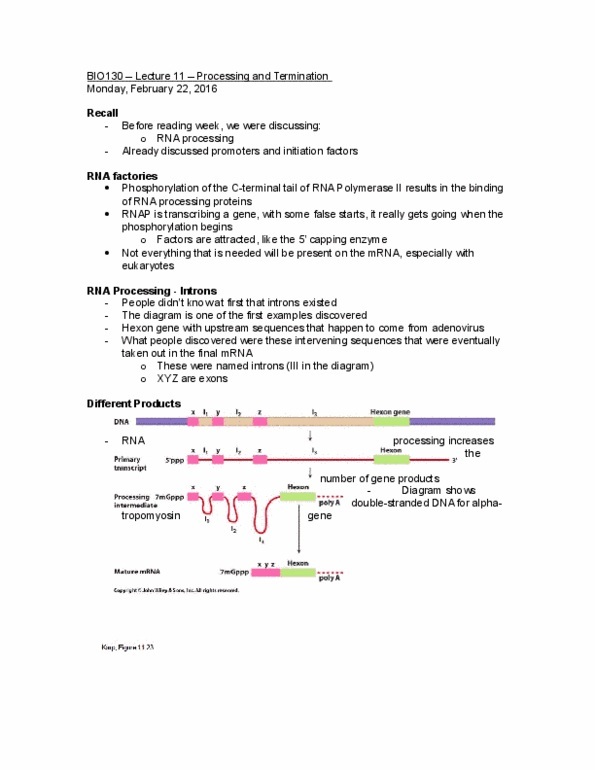 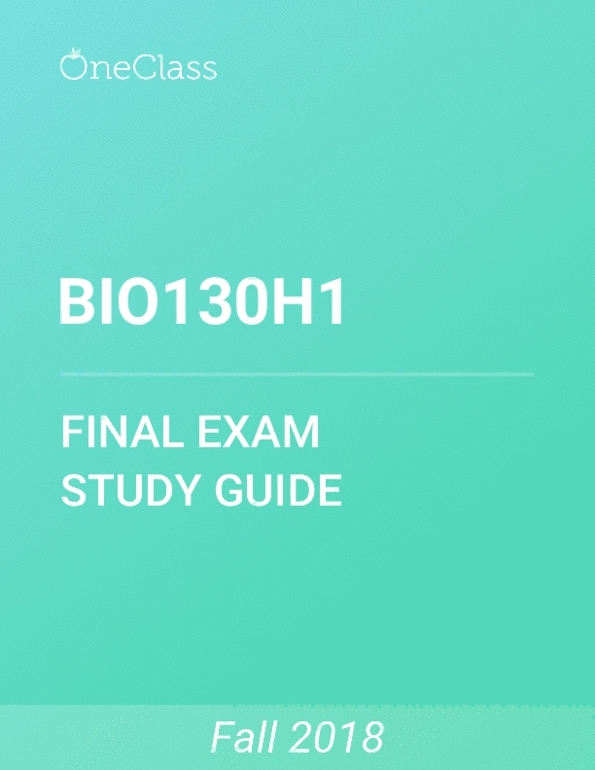 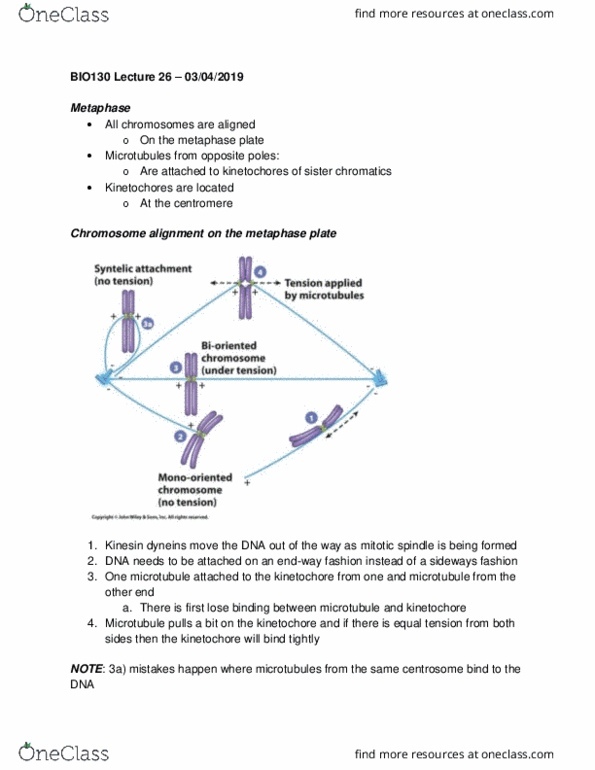 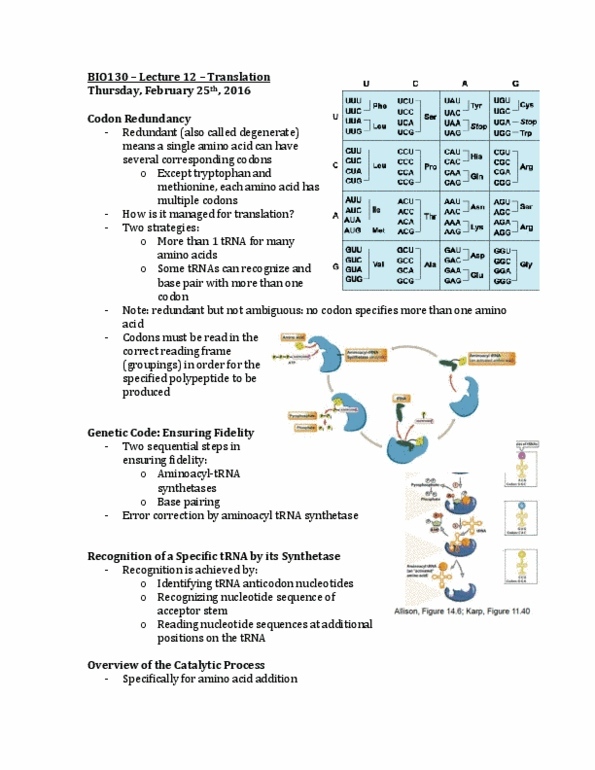 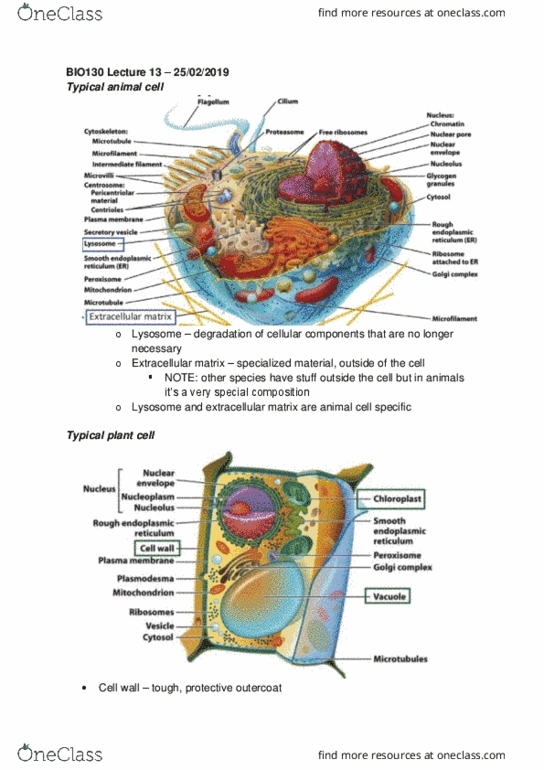 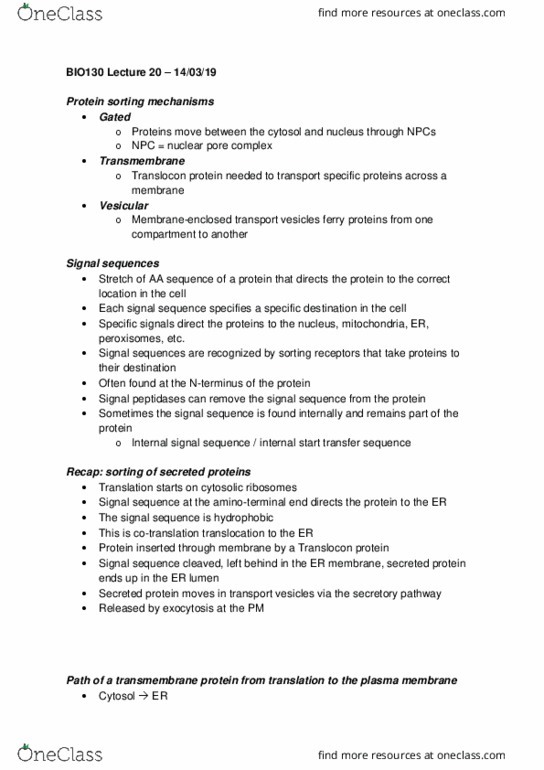 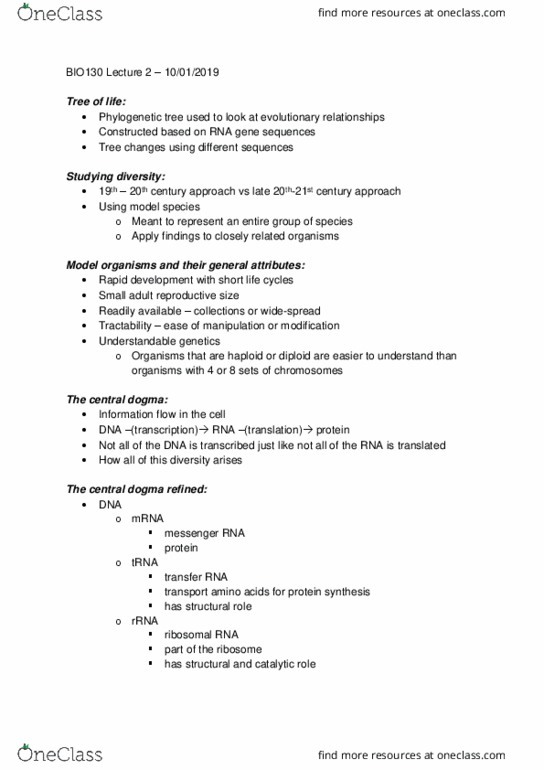 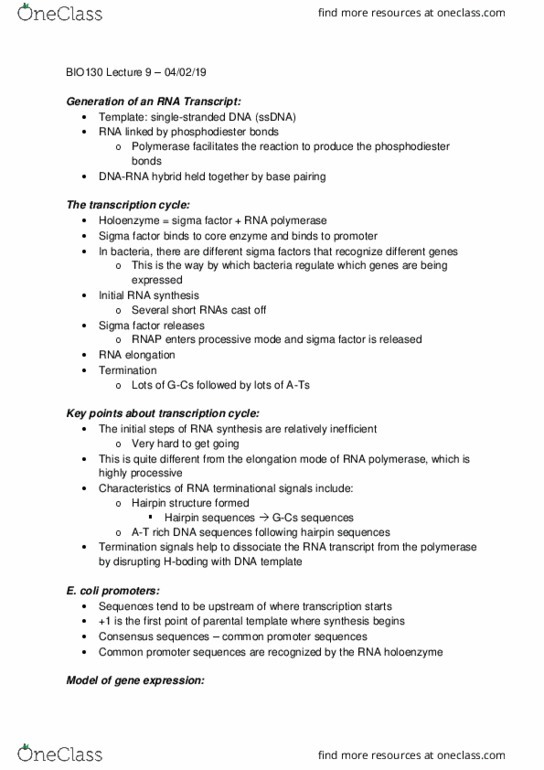 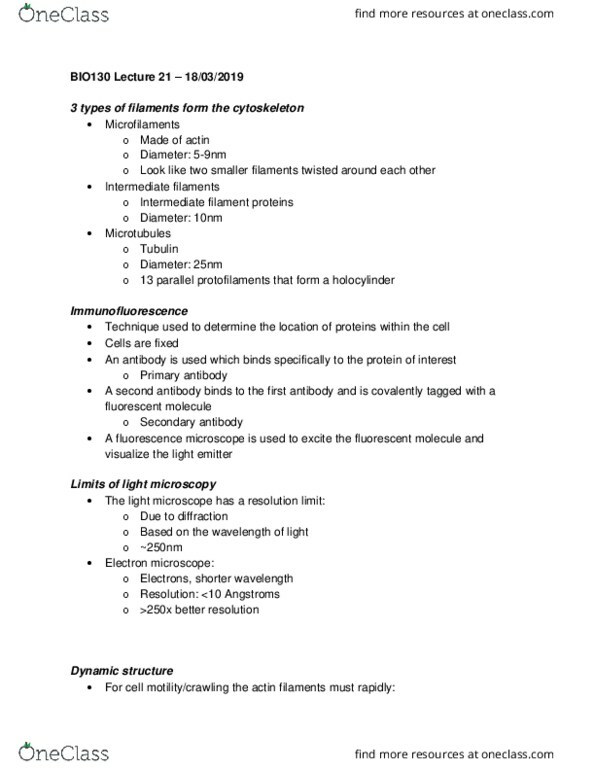 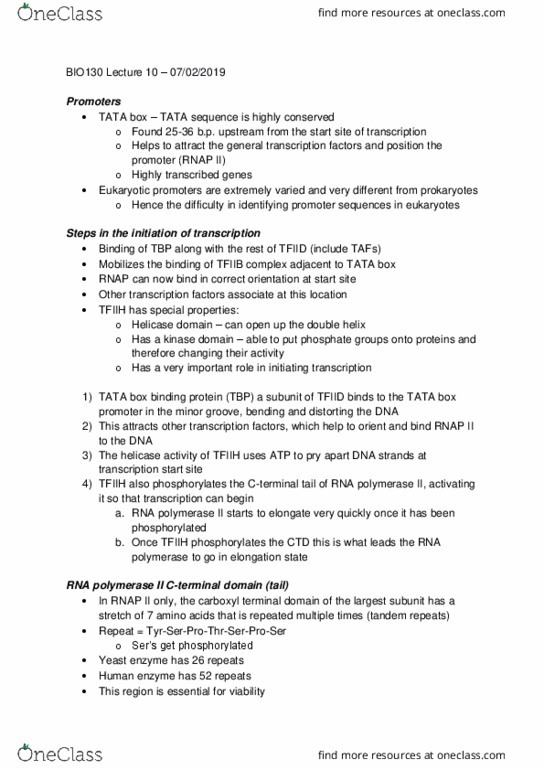 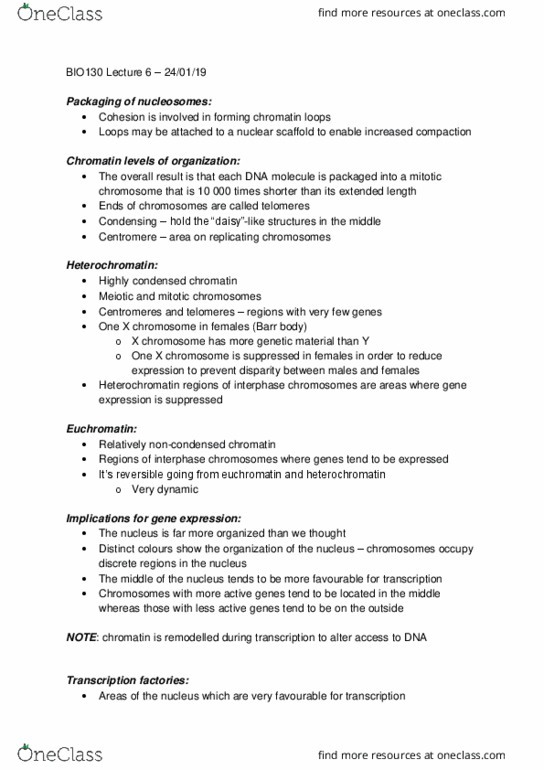 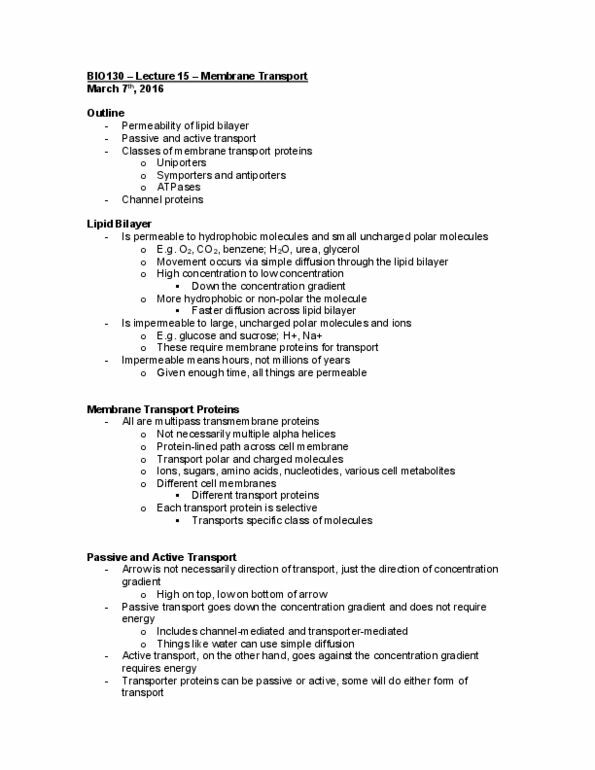 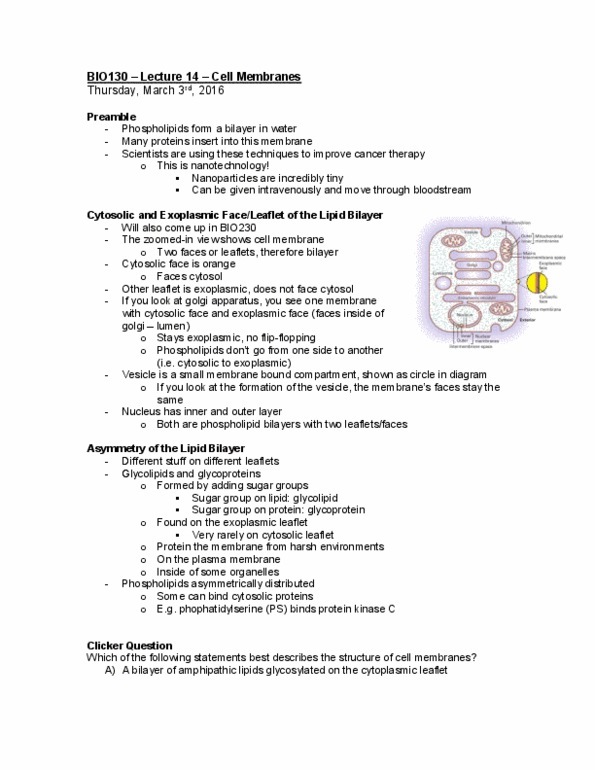 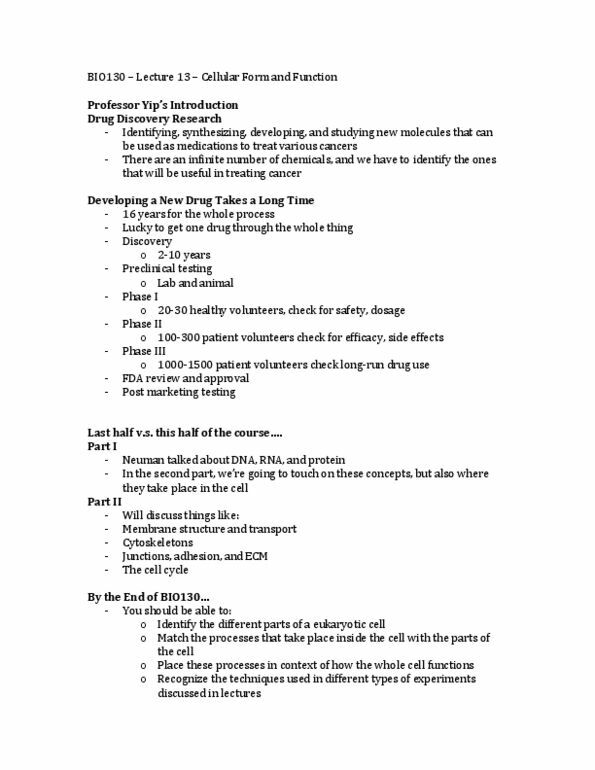 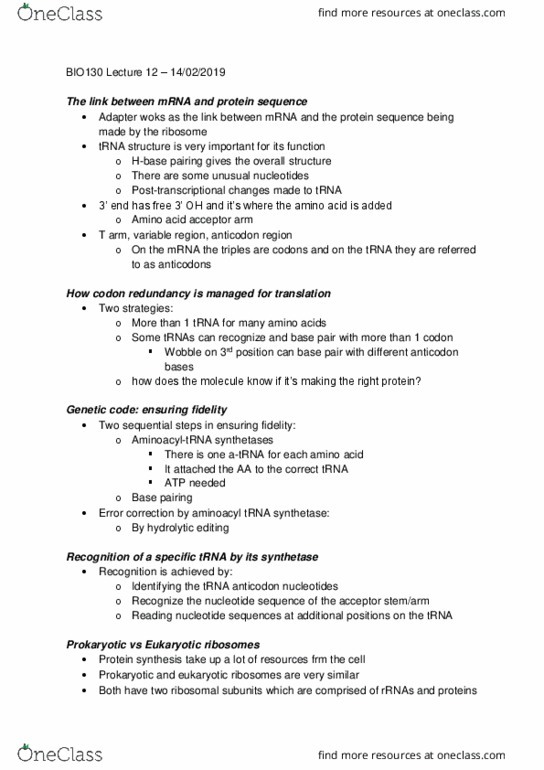 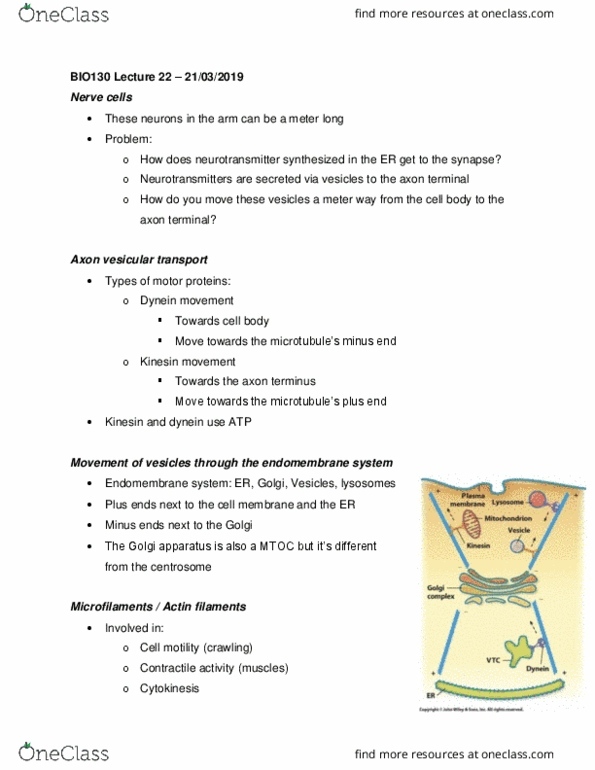 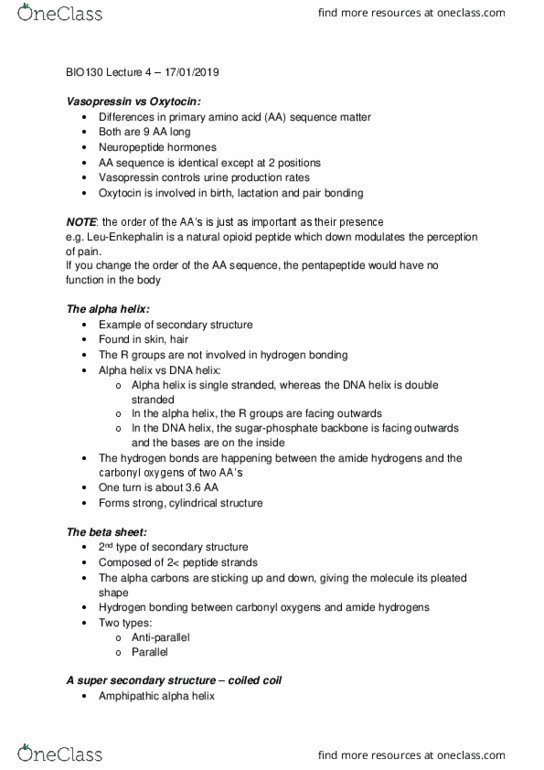 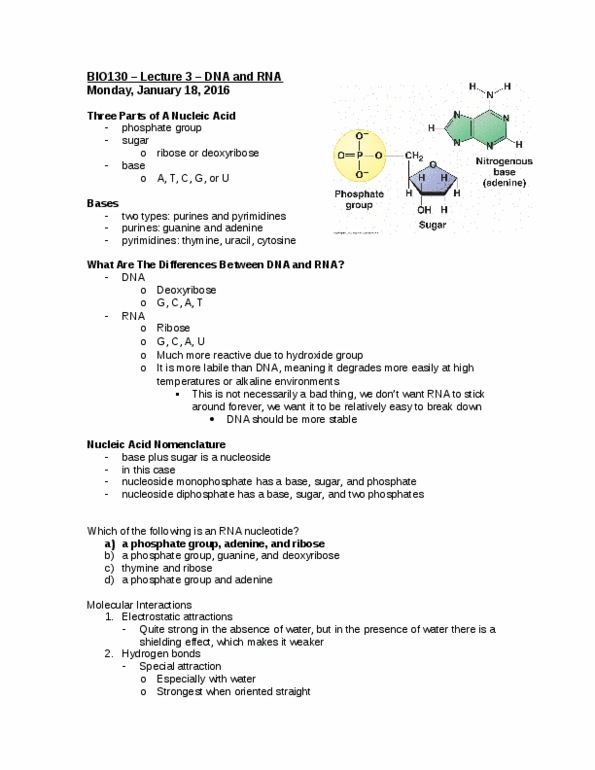 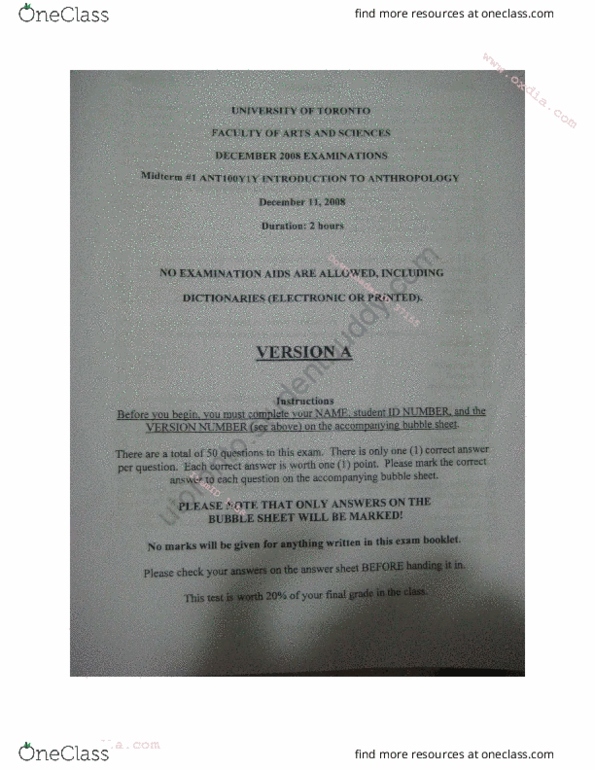 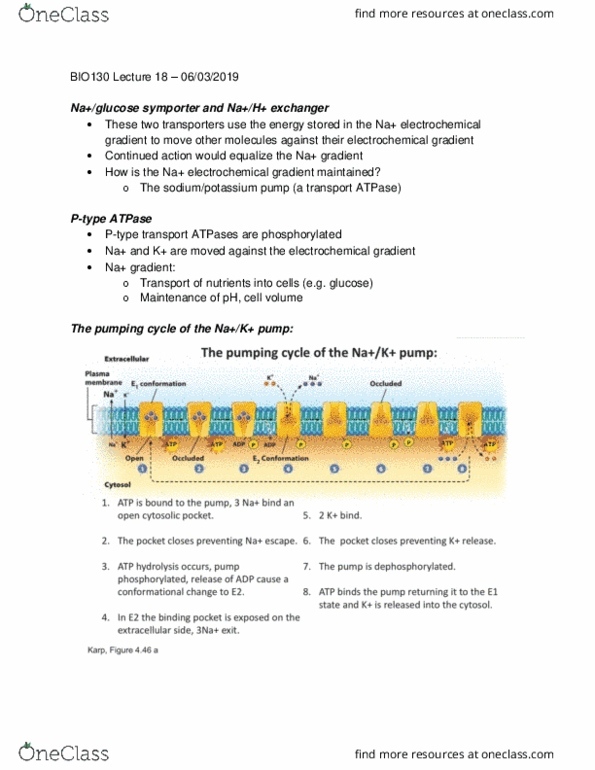 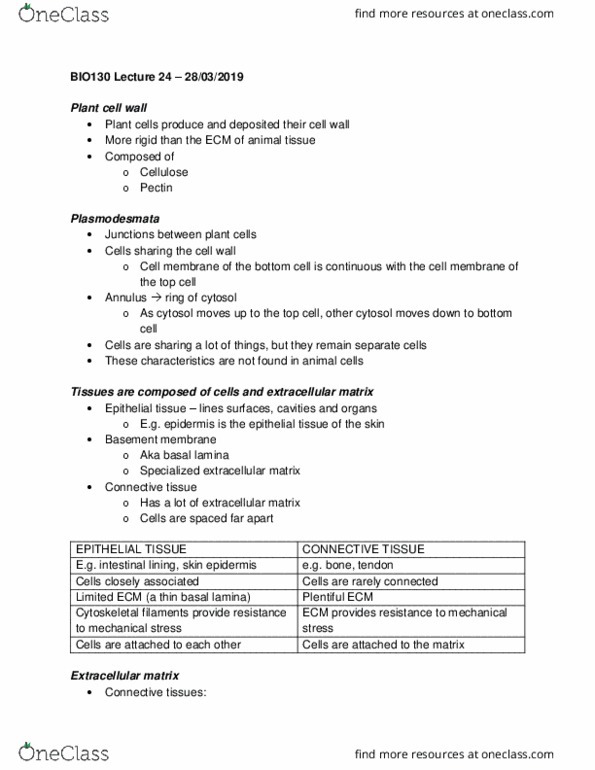 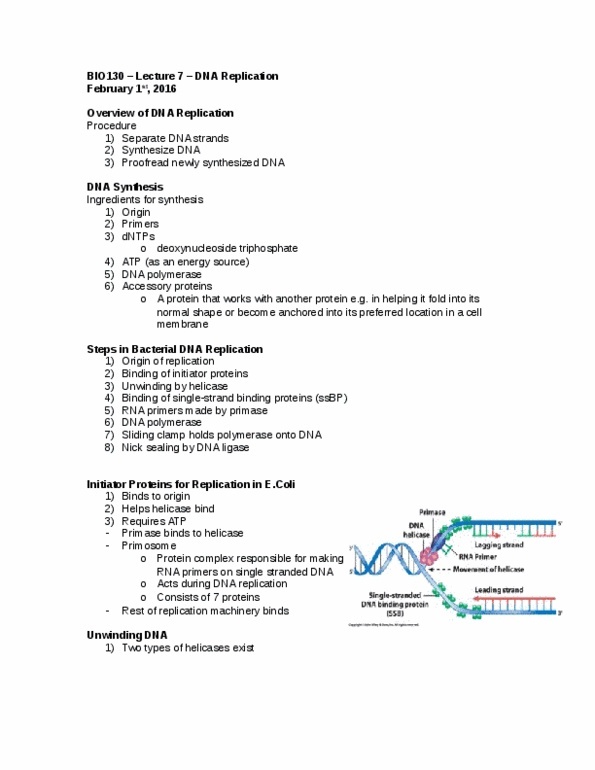 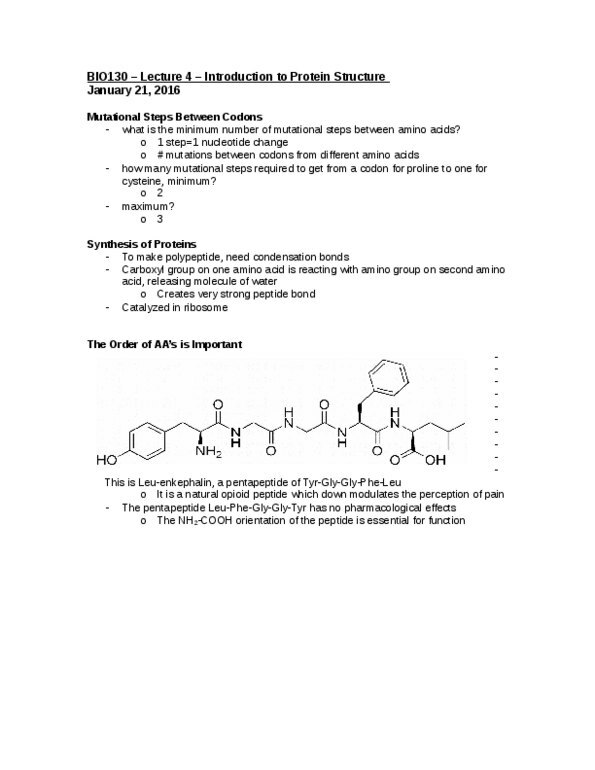 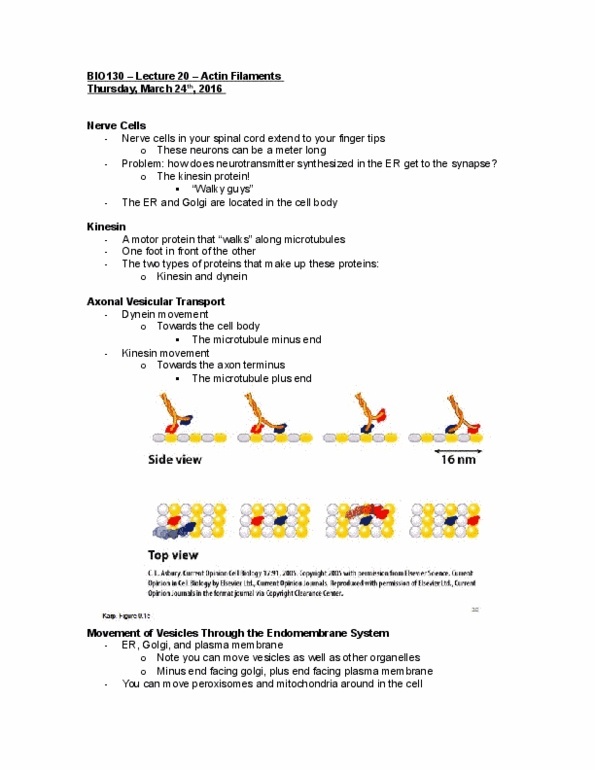 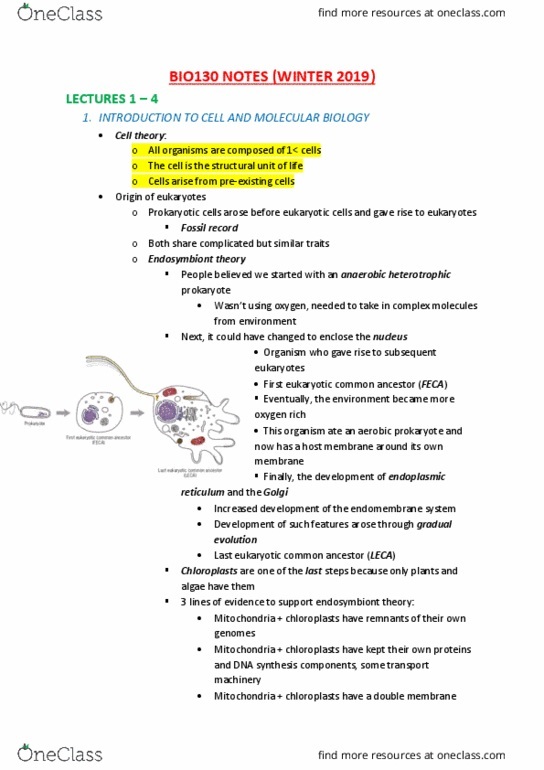 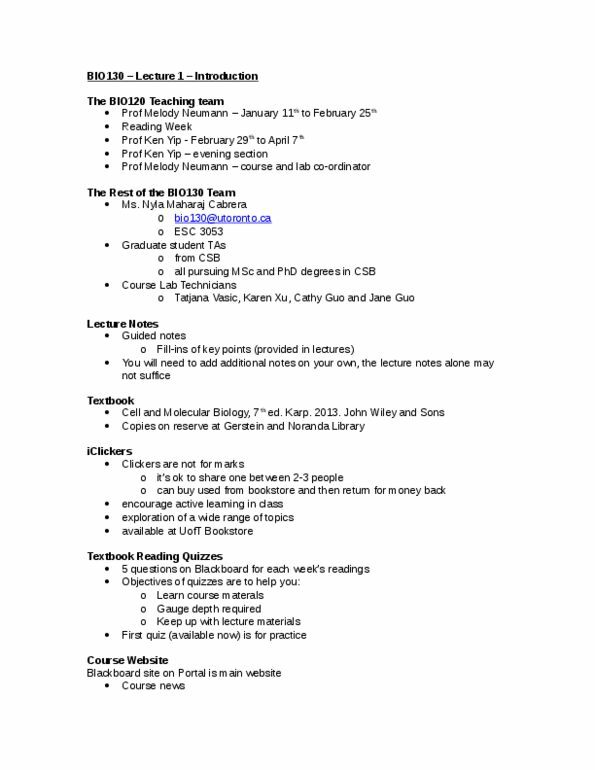 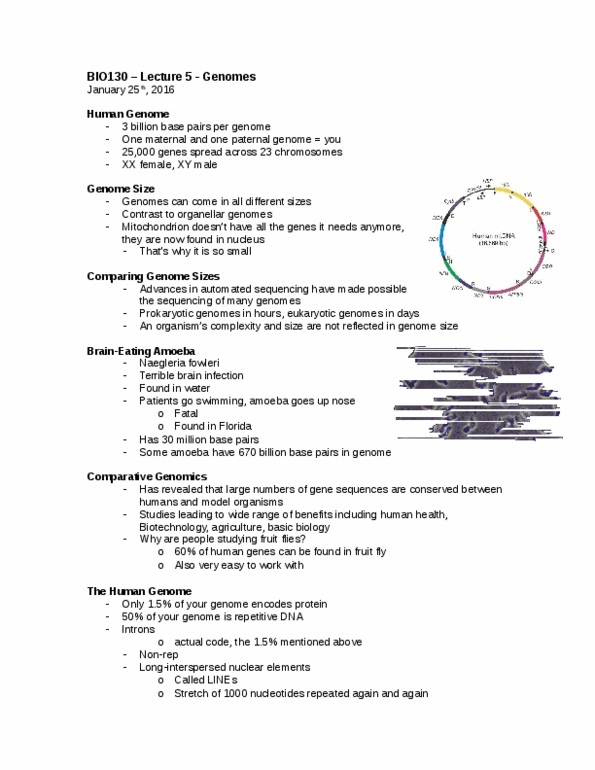 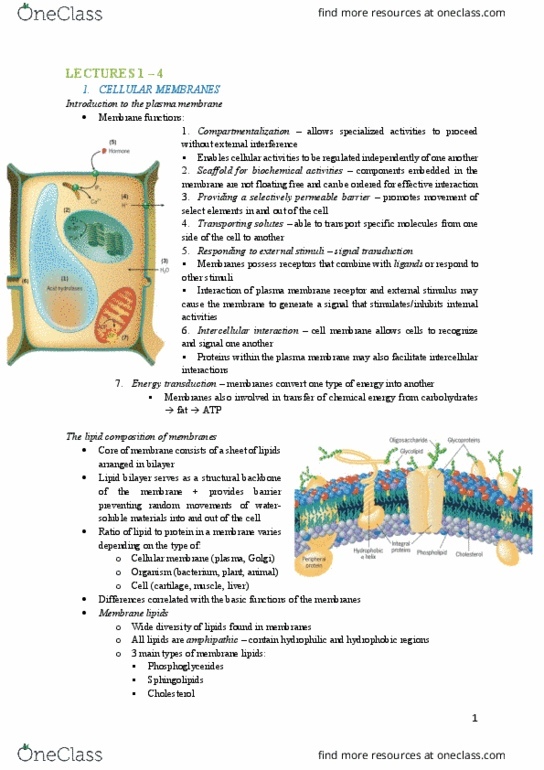 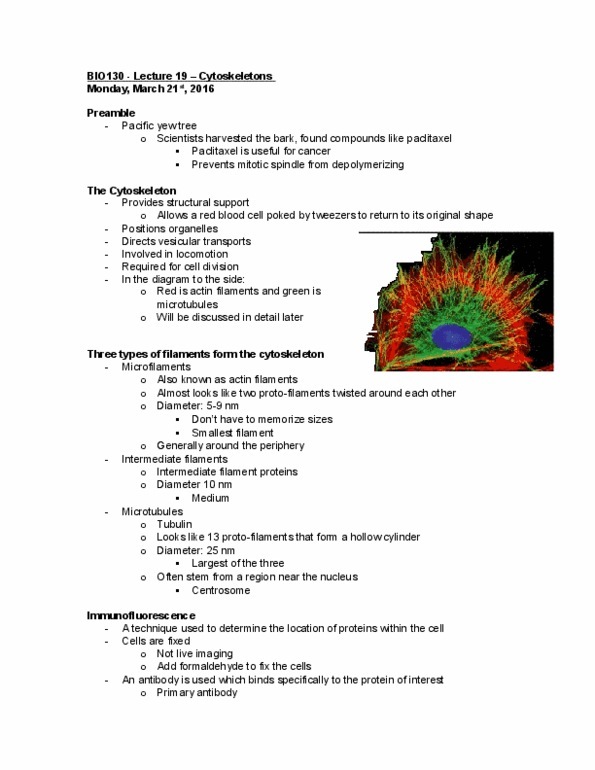 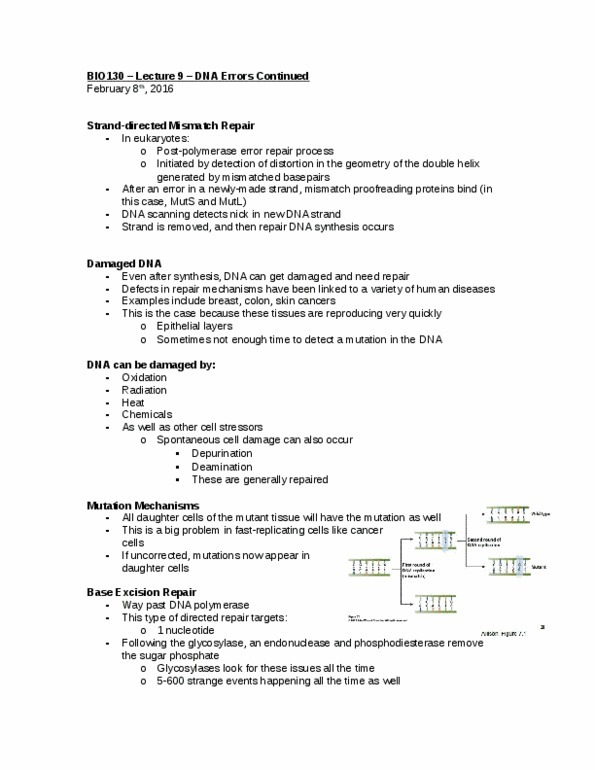 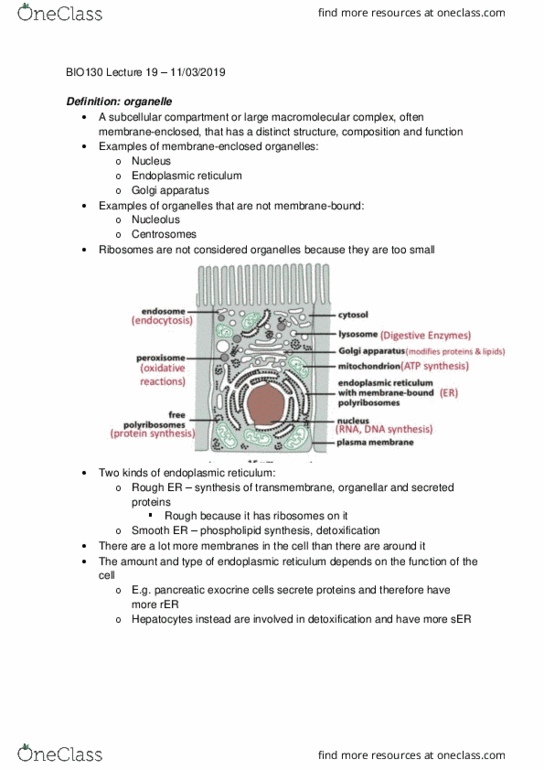 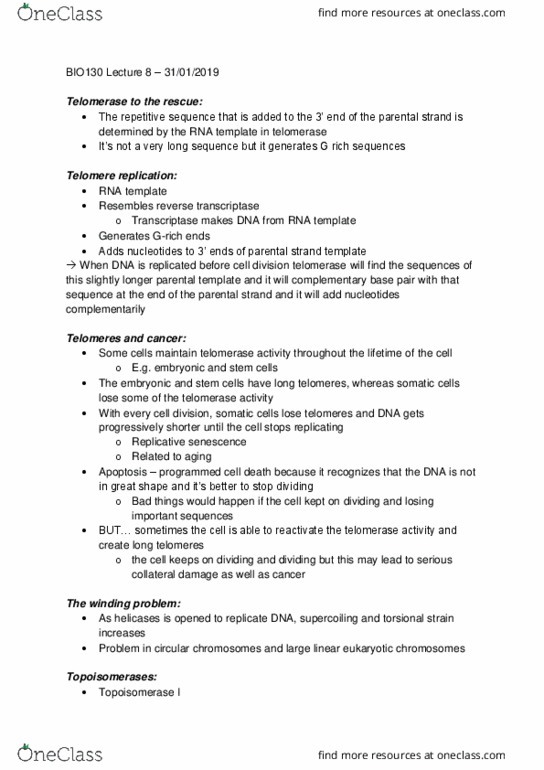 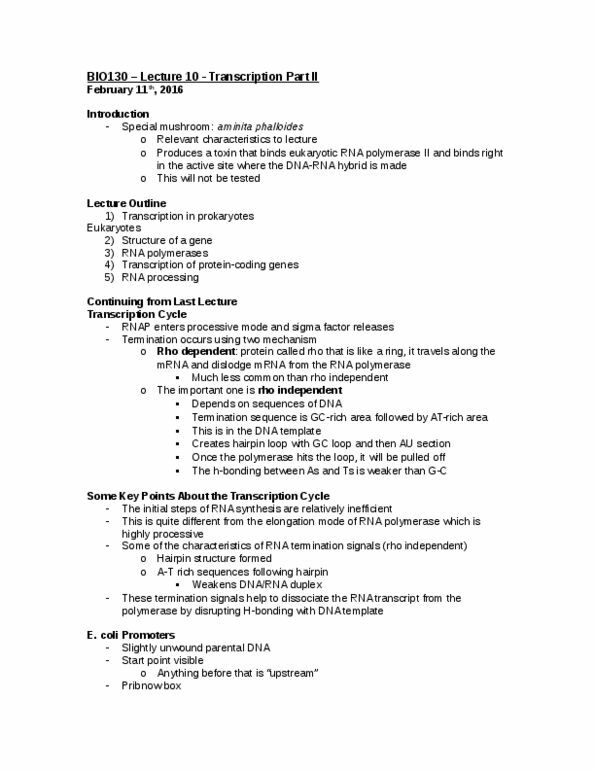 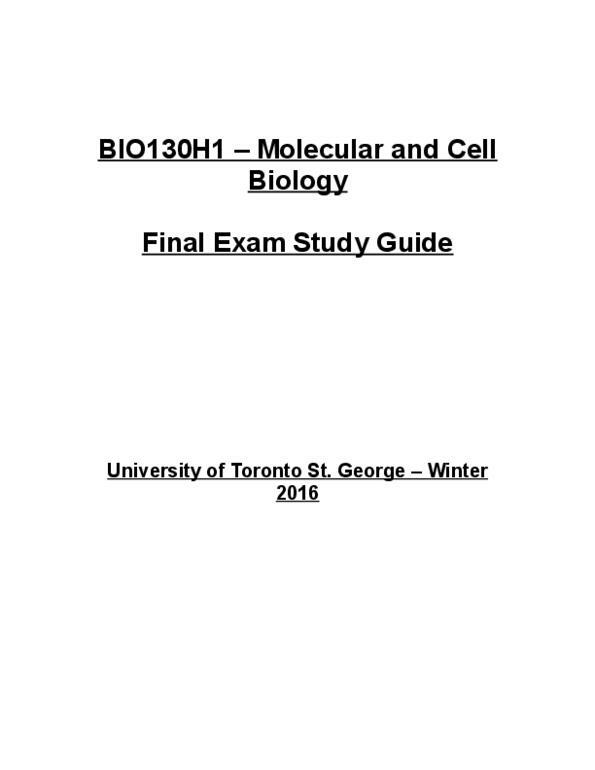 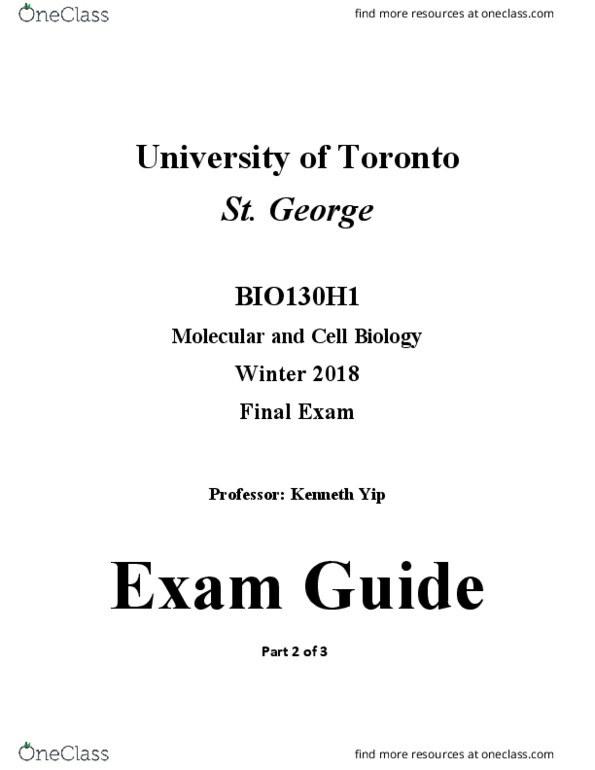 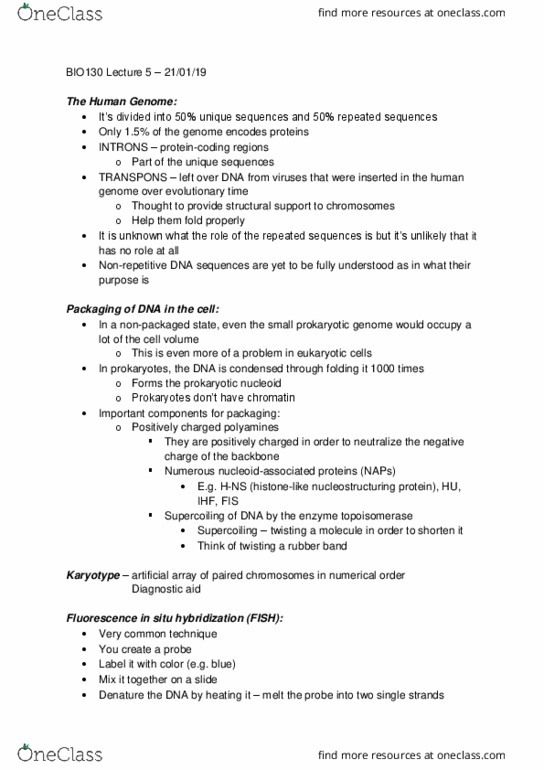 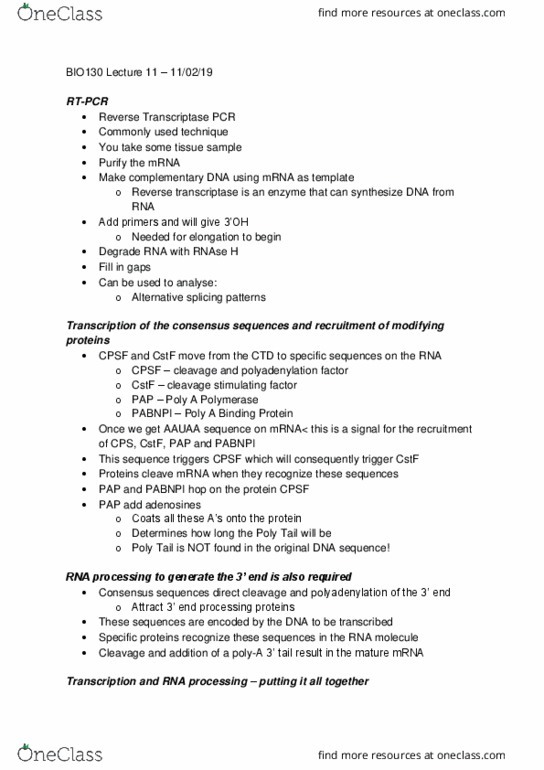 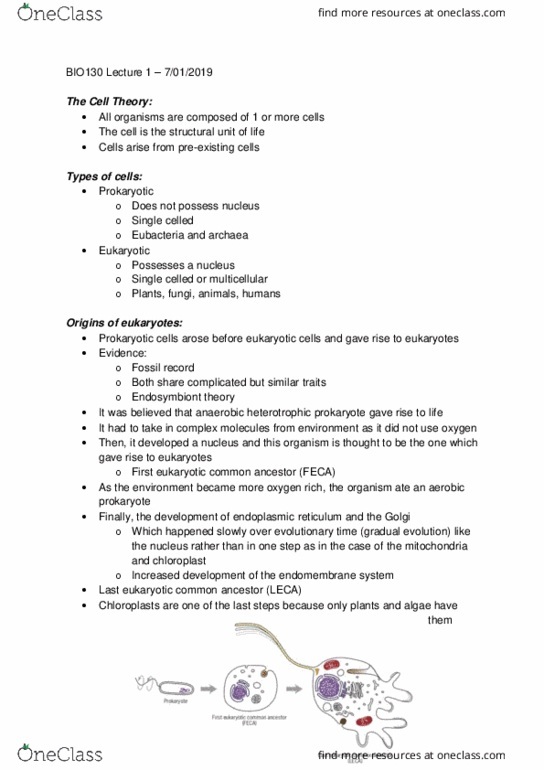 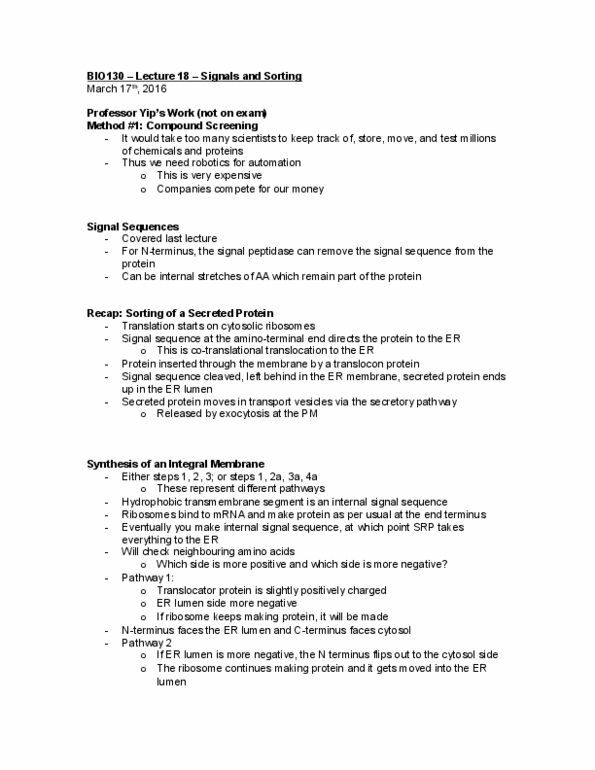 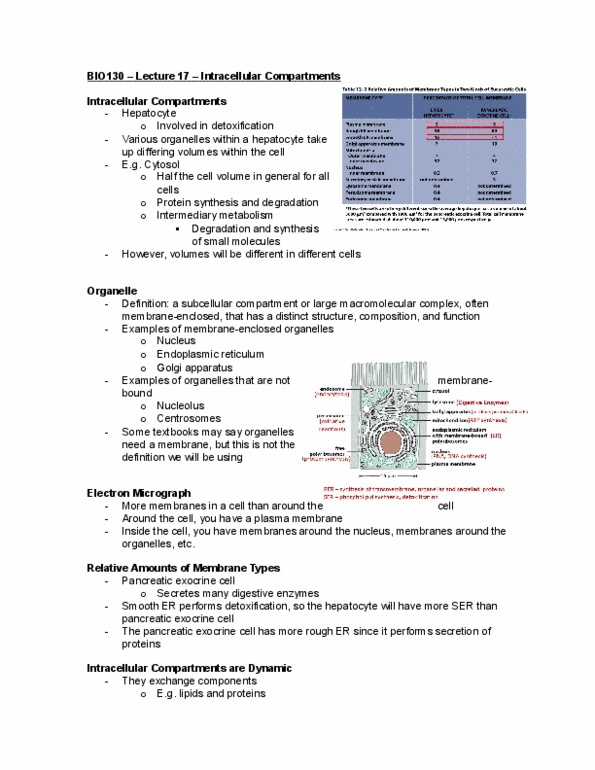 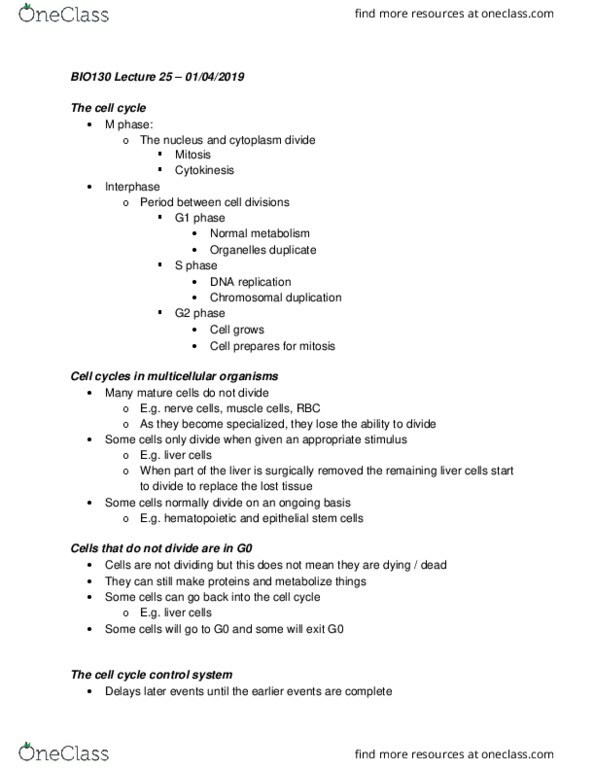 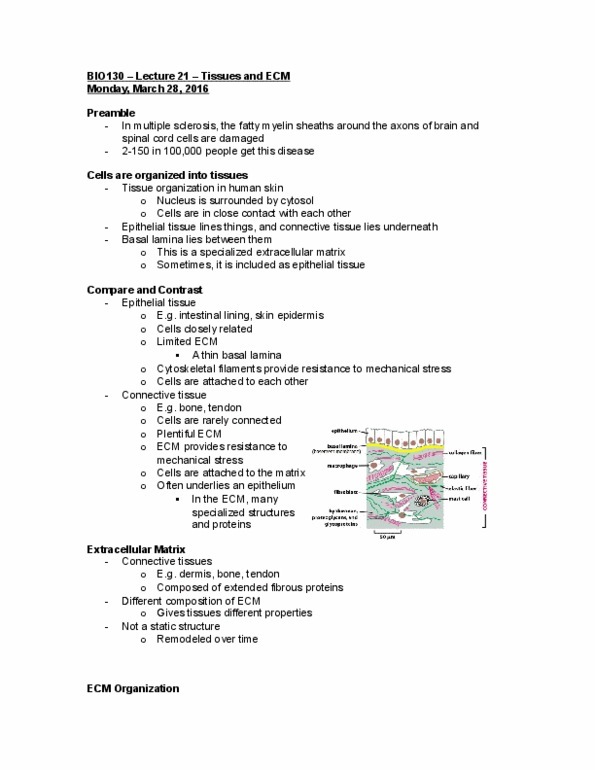 [BIO130H1] - Final Exam Guide - Ultimate 33 pages long Study Guide!